Looking for a space you can show off your refined taste? At Field Colony, your guests will be awe of the minimalist interiors and compliment you for your choice of setting among blocks of beautiful historic brownstones and tree-lined streets. Field Colony is an open and voluminous venue with 1,000 square feet, eleven foot ceilings throughout, and defined entertaining areas for your next event. The space is divided into three distinct rooms; the front room, lounge, and meeting room. With nine foot windows and french doors along Bloomfield you will revel in the natural light from the west as you are surrounded and inspired by art from our current exhibition on the other walls. Appointed with four 4'x8' glass topped tables on matte black frames and black ergonomic seating for up to 24, tasteful smart lighting, and natural white oak floors, this room exudes elegance and sophistication. Our lounge, painted matte black with window views to the front room, provides an intimate space for casual gatherings and conversation. A velvet couch provides seating for three with room for additional seating, and a bookcase with books on design, art, and architecture complement the atmosphere and stimulate contemplation and conversation. 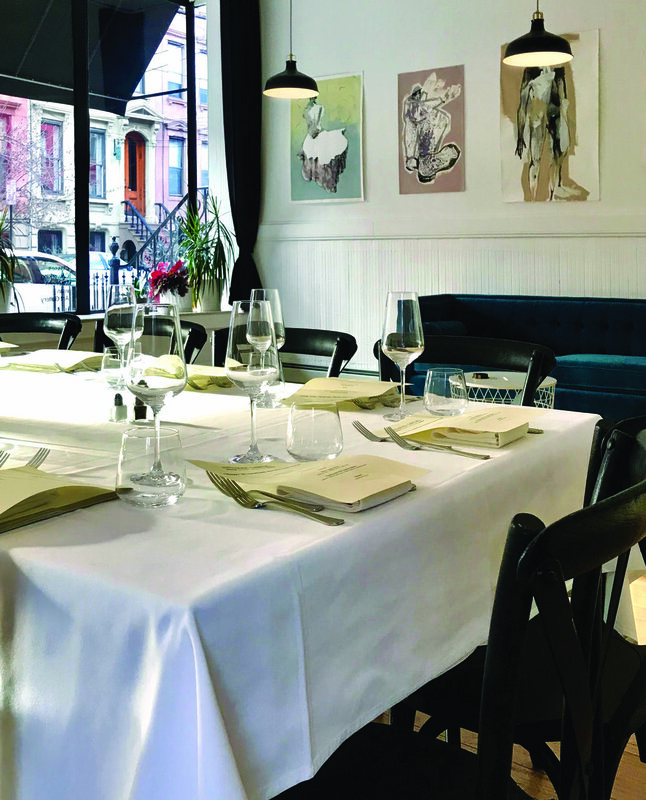 Located around the corner from Bwè and across the street from Anthony David's, Field Colony is perfectly located next to the best coffee and restaurant, respectively, in Hoboken. On-street parking is available for out of city visitors, and a bus stop is located a block away on Washington for those traveling from the Path or the Port Authority. Also, guests arriving by train can take a short trip via taxi or Uber/Lyft to our location in a moments notice. We welcome you to stop by any time you are in the neighborhood and view the art on display and to see for yourself what a unique and beautiful space we are offering for your next event. Call us at 201-386-5960 or email info@fieldcolony.com for further information. With full-service planning we can accommodate both smaller intimate groups and larger events.